A mudra is a seal or gesture that facilitates the flow of energy in the subtle body. Mudras help you draw yourself inward. Each is a symbolic gesture that can stimulate different areas of the brain transmitting an exact goal of channeling energy flow during meditation. The seal creates a circuit in the body that helps generate a state of mind. In Ayurveda, yoga mudras are used in healing. The mudra may involve the whole body or a part of the body, most commonly it is a hand position. Mudras used with yoga breathing exercises invigorate the flow of prana in the body, in that way revitalizing different parts of the body. 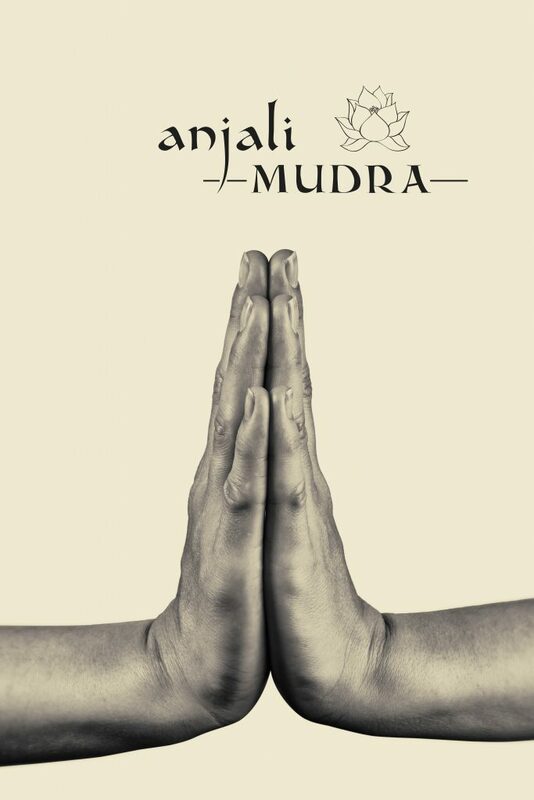 Anjali mudra is probably the most familiar mudra. The gesture expresses respect and gratitude. The seal symbolizes love and honor towards yourself and the universe. Yogis use it at beginning or the end of practice while articulating the word Namaste. 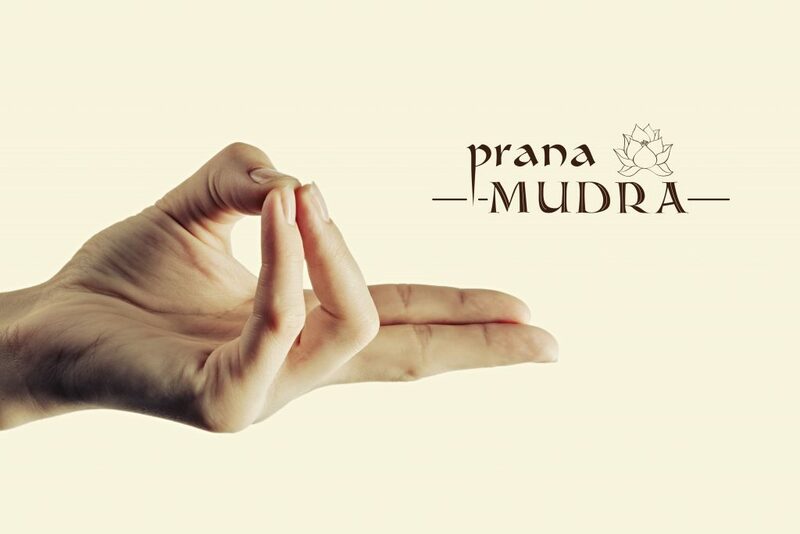 However, this mudra can also be used while meditating or practicing pranayama. To do this, bring the palms together in front of the heart space, and lightly press the hands against each other, lifting the heart center towards your hands. 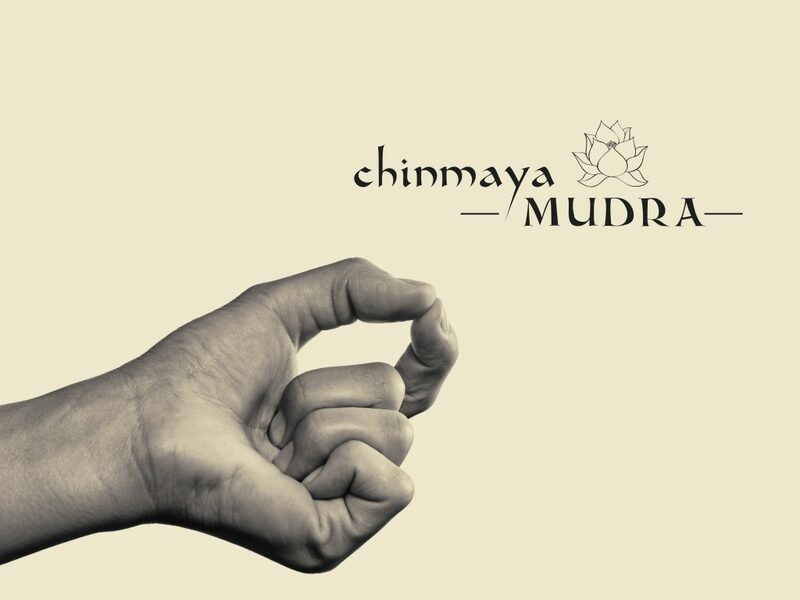 Gyan mudra, also known as chin mudra, is probably the most used. This gesture has the intention to improve concentration, creativity and sharpen your memory. This is a great seal to use when seeking to gain knowledge. To do this, bring the tips of the thumb and index finger together, and keep the other three fingers together, slightly stretched and relaxed. Try holding this mudra while meditating for insight into your life or a specific issue. When you wish to feel more grounded, place your hands resting on your legs, palms facing down. Alternatively, when you feel open and receptive, rest your hands on your legs palms facing up. 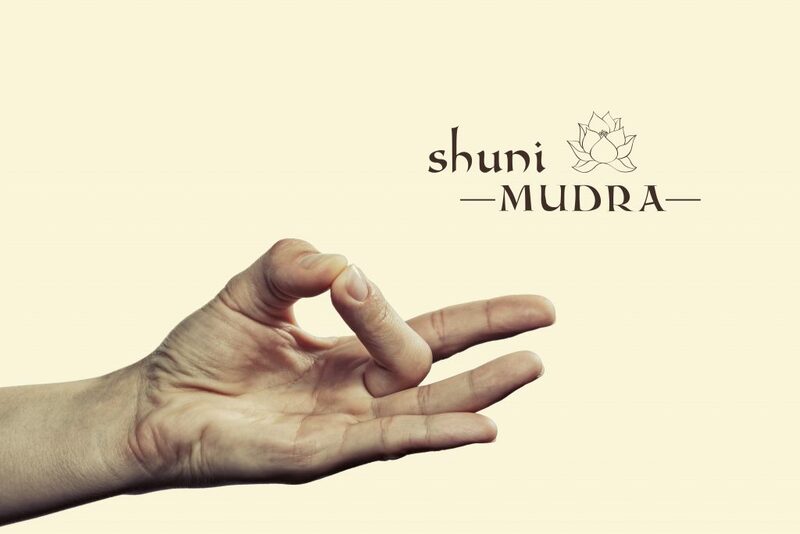 Shuni mudra symbolizes patience and self-control. This gesture is used to improve awareness, alertness, and sensory powers. It also cleanses your emotions and thoughts. The intention is to generate a feeling of stability. Use this seal when you need strength to follow through. To do this, bring the tips of the thumb and the middle finger together, and keep the other three fingers together, slightly stretched and relaxed. 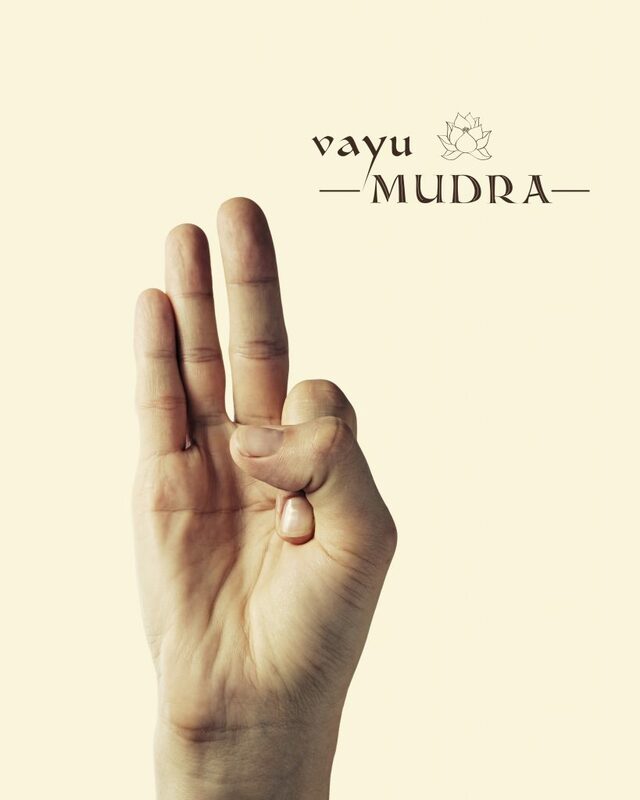 Surya mudra increases the fire element in the body. It represents energy and health and brings positive change. The gesture improves metabolism and digestion, leaving the body with a balanced feeling, as it reduces heaviness and boots immunity. To do this, bring the tip of the thumb to the knuckle of the ring finger, keeping the other three fingers together, slightly stretched and relaxed. 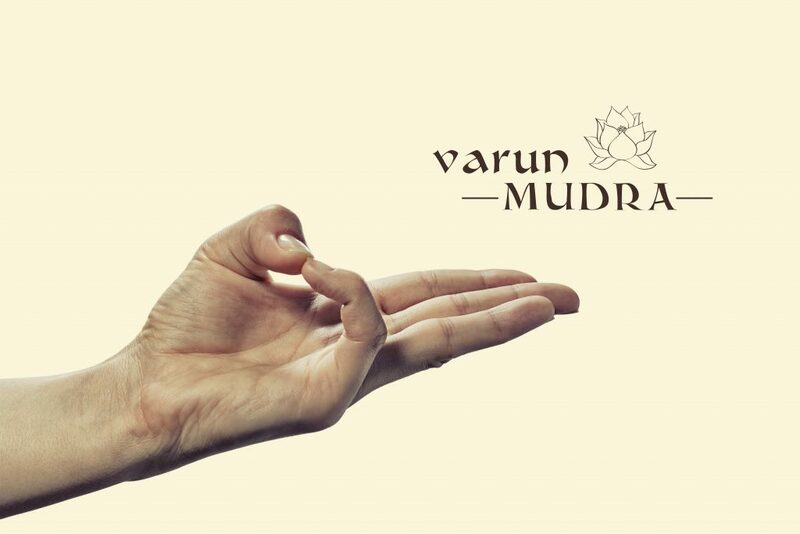 Varun mudra increases for mental clarity. This gesture enhances intuitive communication, and it symbolizes openness. The seal can help understand intuitive messages from the subconscious and strengthen intuitive knowledge. This mudra can help you improve the way you communicate. To do this, bring the tips of the thumb and the pinky finger together, and keep the other three fingers together, slightly stretched and relaxed. Dhyana mudra provides calming energy for meditation. Several eastern meditation disciplines share the mudra for deep contemplation and reflection. Pictures the Buddha often show him doing this gesture. The significance is that it brings you into profound, reflective concentration. It can also help bring you serenity and harmony. To do this, place your hands on your lap, palms facing up, with the right hand resting on top of your left palm, and the tips of the thumbs touching. The right hand represents enlightenment, and the left hand represents illusion. Prana mudra activates inactive energy in your body. The gesture symbolizes the vital energy, which in Sanskrit is called prana. Prana is the dynamic life force within all living things. This hand seal encourages the flow of energy, which in turn helps awaken and attune the vital life force to make you feel strong and invigorated. To do this, bring the tips of the thumb, the ring finger and the pinky to touch, and keep the other two fingers together, slightly stretched and relaxed. Apan mudra helps with elimination. The gesture aids in the removal of waste from the body and stimulates mental and physical assimilation. This hand seal assists in body detoxification by stimulating the excretion system to flush out toxins from the body. To do this, bring the tips of the thumb, the index and the middle finger to touch, and keep the other two fingers together and relaxed. Ganesha mudra is named after Ganesh, a Hindu deity who removes obstacles. The gesture removes all types of obstructions in your life and when practiced with intent it releases stress and tension from the body. This seal can help you lift your spirits, boost confidence and build courage during difficult times when you bring your awareness to the heart center and open up your chest. This mudra works not only on your heart chakra, but it is also beneficial to your cardiac health. To do this, start in Anjali mudra with palms touching at heart center. Then swivel your hand so the fingertips point toward opposite elbows, with the right palm facing the heart. Then slide your hands apart until the fingers from each hand can clasp the other when the fingers are bent. During meditation, inhale deeply, holding your hands in Ganesha mudra, and pulling outwardly as you exhale without unlocking your fingers. Repeat six times, then repeat with the left palm facing the heart. 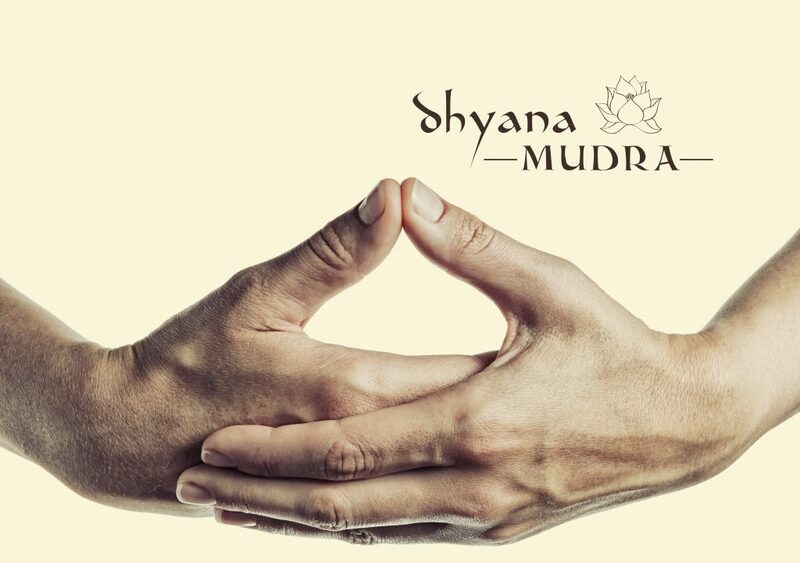 To keep balanced, perform the mudra the same number of times on each side. 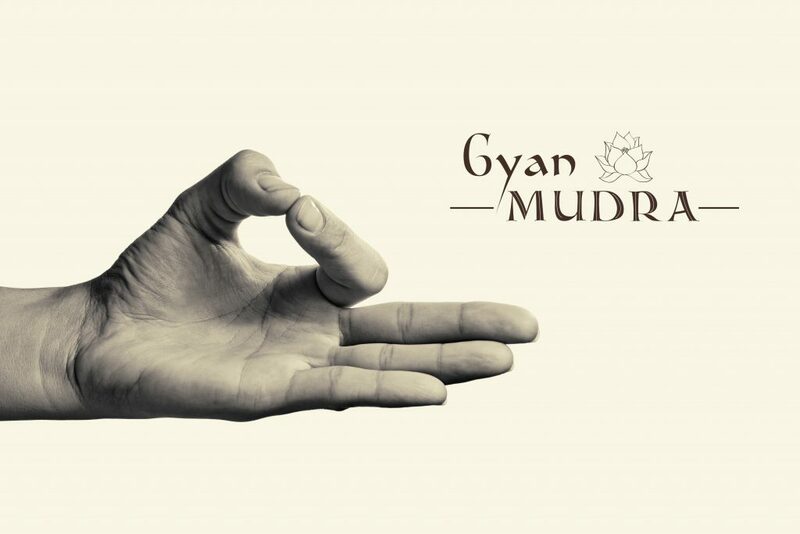 To deepen the practice this mudra can be used while chanting Om gam ganapatayei namaha on each exhale. The mantra’s purpose is to invoke the powers of Ganesh. Brahma means divine and sacred. In Hindu, Brahma is the creator god. It symbolizes penetrating consciousness and it helps calm the mind to reach a higher meditative state and energize the body by releasing negative energy. To do this, both hands form fists with the fingers wrapped around the thumbs, palms pacing upward with the knuckles of each hand gently pressing against each other, at the level of the navel. Yogis with a dominant kapha dosha should limit time this mudra is practiced. Adi means first. 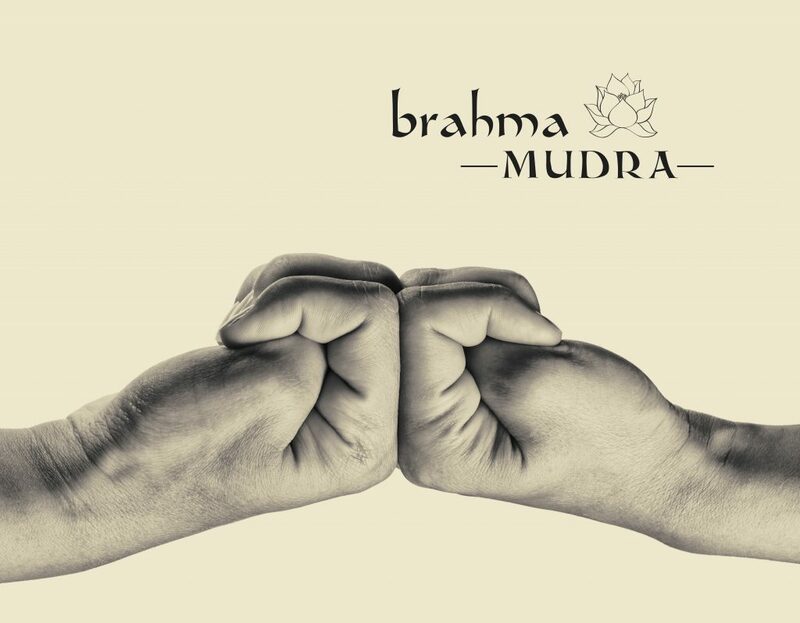 This mudra relaxes the nervous system and increases lung capacity, thereby improving the flow of oxygen to the brain and helping reduce snoring. To do this, the thumb is placed at the base of the small finger and the remaining fingers curl over the thumb, forming a light fist. Palms facing upwards on the thighs. This mudra stimulates the solar plexus chakra. Rudra is another name for Lord Shiva. Shiva clears the pathway with his destructive powers so you can reach your higher potential. This gesture strengthens your transformative abilities by stimulating your personal power center, which is the solar plexus. The seal improves clarity and concentration. Rudra is a very powerful mudra to energize your physical body and empower you to reach your highest potential or goals. To do this, connect your thumb to your index and ring fingers while keeping your other two fingers as stretched out. Chinmaya means pure wisdom in Sanskrit, and this gesture symbolizes supreme awareness. The seal promotes the flow of prana in the thoracic region thereby stimulating digestion. To do this, tips of the thumb and index finger touch, while the other three fingers curl into the palms. The hands are placed on the thighs with palms facing upwards. This mudra balances the air element in the body. Vayu means air, and is good in regulating Vata. This gesture heals diseases related to air imbalance in the body. To do this, bring your thumb to the knuckle of the index finger, gently pressing down and keeping the other three fingers slightly stretched and relaxed. Apan Vayu mudra is also called Mritasanjeevani mudra. The gesture is thought to be a powerful remedy for cardiac disease and in the treatment of pain. To do this, start with apan mudra and then curl the index finger towards the palm. Hands rest on the thighs. Yogis with kapha constitution should practice this mudra moderately. 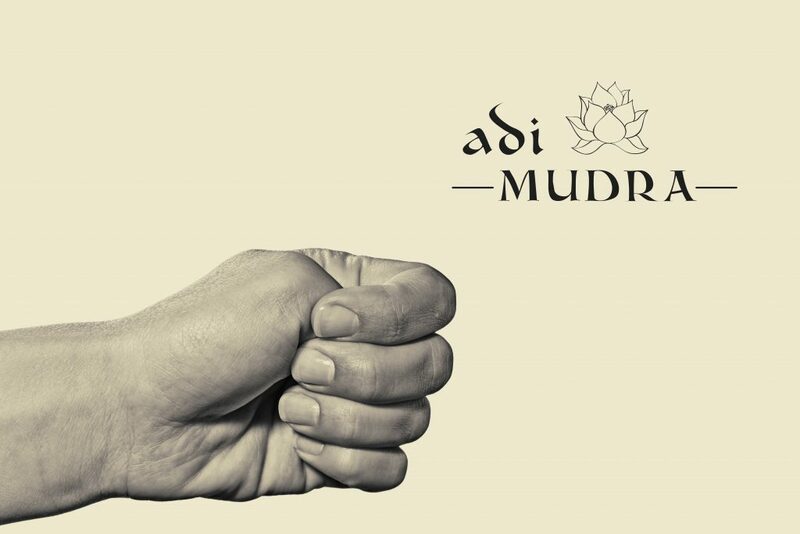 Mudra means gesture and a means of self-expression by using hands, eyes, legs or any other body part. In Buddhism and Hinduism, they have been used since ancient times in rituals, meditation and therapeutic healing. According to these ancient philosophies, the universe and the body are composed of five basic elements. Each of the fingers represents one of these five elements: fire, air, ether, earth and water. Sense of purpose is the motivation that drives you toward a satisfying future. Hence, your sense of purpose helps you get the most of life and it helps you achieve what matters most to you. Most importantly, it feeds intrinsic motivation and it creates meaning from life. Purpose is our driver. Certainly, purpose is a fundamental component of a fulfilling life. Our purpose is to help you find yours.